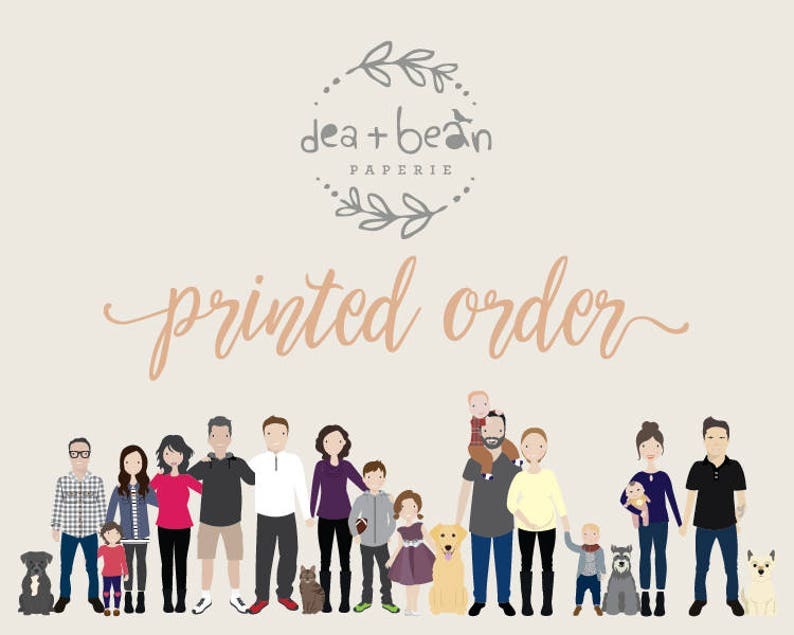 Add this listing to your cart BEFORE CHECKING OUT, along with any custom portrait in my shop if you'd like a physical print shipped to you. Simply choose the size print you'd like from the drop-down menu. ***Note: if your portrait includes 12 or more people, 11 x 17 or larger is required. Art is shipped in rigid flat mailers, frames not included. Print will ship within 1 weeks of approval of your final proof. INTERNATIONAL BUYERS: Please take advantage of the Digital-Only option and I'll email you the final artwork so you can send it to a local print shop near you. The costs to ship a physical print internationally are often more than what you pay for the actual art. Save yourself some money! Was perfect and exactly what we wanted!